McGough’s work accomplishes several tasks. It puts Letterman and his work in the context of the mid-19th century U.S. army. Surgeon in Blue offers a clear depiction of the personalities and political vendettas of the Army of the Potomac, the presidential cabinet, the U.S. Congress and the U.S. Sanitary Commission. McGough has researched the appropriate archival material and enhanced his efforts by consulting historians of the National Park Service and the U.S. Army, the Gettysburg Licensed Battlefield Guides, and the staff of the National Museum of Civil War Medicine. 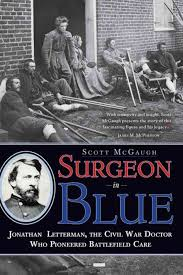 Surgeon in Blue offers the compelling story of American physician’s life lived during the sobering era of the American Civil War. Carrie (1974), Mile 81 and The Dune (2012), Joyland (2013), Stephen King; In The Tall Grass, Stephen King and Joe Hill (2012), A Face In The Crowd, Stephen King and Stewart O'Nan (2012). Well, the leaves and turning and a fresh crop of zombies are rising from their graves. In the twilight, atop ivory candles are small white flames with amber and honey colored edges that honor and remember the saints who continue to intercede in behalf of humanity. All Hallows Eve and All Saints' Day are upon us. Halloween is a contraction of All Hallows' Evening (October 31), a day in the liturgical annual calendar dedicated to remembering dead saints and martyrs, and all departed, faithful believers in the resurrection of the dead. All Saints' Day [also known as All Hallows, Solemnity of All Saints, The Feast of All Saints] is celebrated on 1 November. As for myself, I use the liturgical calendar and the Hagerstown Farmers' Almanac. My first 18 years included planting and harvesting crops, birthing and slaughtering cattle, and even, after one heavy but brief July rain storm, listening to two acres of corn grow. I respect the saints, mother nature, and those who have been committed to the earth and continue to await their resurrection. Carrie is Stephen King's first published novel; it was released on April 5, 1974 Set future year of 1979, the novel's focus is on Carietta White, a much bullied female who lives with her mother, a sociopath who uses small portions of The Bible to justify her abuse of Carrie. During a incident in high school, Carrie becomes aware of her latent telekinetic powers. By the end of the novel, the body count is above 500 and most of Chamberlain, Maine is ashes. Carrie is an epistolary novel that offers a limited omniscient narrator and portions of documents that include fictional letters, commission reports, and imaginary non-fiction books. The novel's several main and secondary characters are compelling; the pace of the novel is neither too slow nor too fast. If there is a problem, it is in the denouement. Carrie's path of destruction is too wide and the body count too large. It appears that King may wanted to use fictive documents to help him plot his first published novel and needed a castrophe to be investigated in order to justify their use. Carrie appeared after the novels Rosemary's Baby (1967) and The Exorcist (1971) and the films (1968, 1973) respectively. Both novels and films broaded the territory which King could explore, such as a bullied child with delayed menstruation. Mile 81 and The Dune (2012), Joyland (2013), In The Tall Grass, (2012), A Face In The Crowd, (2012) are better paced, more subdued and more creepy than Carrie. The novella Mile 81 offers a malevolent, supernatural, shape shifting force stymied by a vulgar but clever adolescent. The short story The Dune is set, for the most part in a single with an older gentlemen reporting a prophecy of eminent death to his listener. 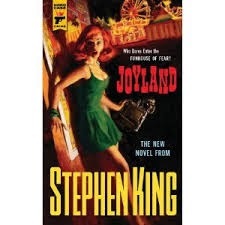 Joyland is a short (for King) novel set in the early 1970s set in a North Carolina amusement park where a ghost prompts an investigation into the possibility of a serial killer travelling between amusement parks. 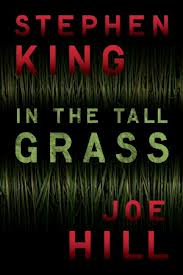 In The Tall Grass and A Face In The Crowd are longer short stories which are reminiscent of Peter Mathieson's work and the television series The Twilight Zone. Mile 81, In The Tall Grass and A Face In The Crowd are offered only as audio and Kindle products. With a twice a day 45 minute commute, audio books are nearly always sliding around my passenger seat. In autumn, on purpose I avoid the interstates and take two lane highways. I pass small churches and their neighboring cemeteries, forests preparing for winter, pumpkin vendors and harvested fields. I slow down. I listen to stories and ponder mother nature, the departed, and the liturgy . New and Noteworthy--- Did John Brown Get What He Wanted? An Emancipation Army With Armed African Americans? To Raise Up a Nation: John Brown, Frederick Douglass, and the Making of a Free Country, William S. King, Westholme Publishing, 664 pages, 40 b/w illustrations and maps, $35.00. From The Publisher: Drawing on decades of research, and demonstrating remarkable command of a great range of primary sources, William S. King has written an important history of African Americans’ own contributions and points of crossracial cooperation to end slavery in America. Beginning with the civil war along the border of Kansas and Missouri, the author traces the remarkable life of John Brown and the personal support for his ideas from elite New England businessmen, intellectuals such as Emerson and Thoreau, and African Americans, including his confidant, Frederick Douglass, and Harriet Tubman. Throughout, King links events that contributed to the growing antipathy in the North toward slavery and the South’s concerns for its future, including Nat Turner’s insurrection, the Amistad affair, the Fugitive Slave law, the Kansas-Nebraska Act, and the Dred Scott decision. The author also effectively describes the debate within the African American community as to whether the U.S. Constitution was colorblind or if emigration was the right course for the future of blacks in America. Following Brown’s execution after the failed raid on Harper’s Ferry in 1859, King shows how Brown’s vision that only a clash of arms would eradicate slavery was set into motion after the election of Abraham Lincoln. Once the Civil War erupted on the heels of Brown’s raid, the author relates how black leaders, white legislators, and military officers vigorously discussed the use of black manpower for the Union effort as well as plans for the liberation of the “veritable Africa” within the southern United States. Following the Emancipation Proclamation of January 1863, recruitment of black soldiers increased and by war’s end they made up nearly ten percent of the Union army, and contributed to many important victories. 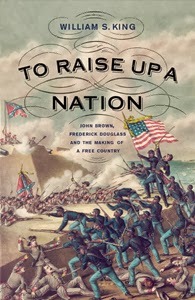 To Raise Up a Nation: John Brown, Frederick Douglass, and the Making of a Free Country is a sweeping history that explains how the destruction of American slavery was not directed primarily from the counsels of local and national government and military men, but rather through the grassroots efforts of extraordinary men and women. As King notes, the Lincoln administration ultimately armed black Americans, as John Brown had attempted to do, and their role was a vital part in the defeat of slavery. Blurb: “In his fast-paced and deeply researched To Raise Up a Nation, William S. King narrates the coming of the Civil War, the war itself, and the emancipation process, through the intertwined lives of John Brown and Frederick Douglass. King’s stimulating, well-written account draws upon telling anecdotes and pen portraits to document America’s dramatic story from Harper’s Ferry to Appomattox, a drama personified by the lives of Brown and Douglass." John David Smith, Charles H. Stone Distinguished Professor of American History, University of North Carolina at Charlotte, and author of Lincoln and the U.S. Colored Troops. CWL: As the historiography grows and as schools of historical thought reveal the stereotypes used to misrepresent John Brown, King possibly completes the circle to what people in 1859 understood Brown to be and what Brown himself claimed to be: a captain without a company of soldiers, in an army that was yet to be raised, fighting for country that was still being formed. CWL is looking forward to several days with To Raise Up a Nation: John Brown, Frederick Douglass, and the Making of a Free Country. Those Who Fought: Allegheny County, Pa., and the Gettysburg Campaign, Arthur B. Fox, Mechling Bookbindery, 202 pages, softbound; $19.95. 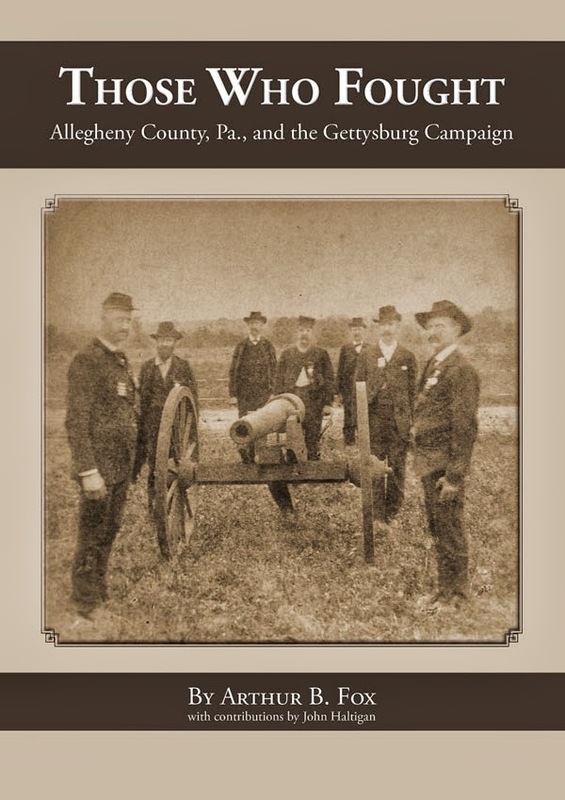 From The Publisher: The first book that specifically recognizes the role of Allegheny County, Pennsylvania in the Battle of Gettysburg and honors the local soldiers who fought there. 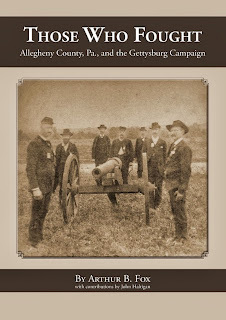 Although thousands of books and articles have been written about the Battle of Gettysburg, nothing specifically regarding the role of Allegheny County and the men who served has ever been published—until now. In his third book on western Pennsylvania’s involvement with the American Civil War, Pittsburgh historian Arthur B. Fox acknowledges the contributions of, and demonstrates his appreciation for, the local participants, past andpresent, in the many aspects the Gettysburg Campaign. Those Who Fought: Allegheny County, Pa., and the Gettysburg Campaign is not simply another study or a re-interpretation of these battles. Instead, it is a commemoration of the courage, valor and sacrifice of Allegheny County soldiers who fought in the largest and deadliest battle of the Civil War. Arthur Fox’s passion for Gettysburg history is evident in the details: lists, descriptions, monuments and vignettes, snippets of regimental records and battle reports—yet he brings it all to life through a wealth of little known, human interest stories. Allegheny County, represented by several thousand soldiers during the battle, makes up the majority of those stories. One of the most significant is that of Allegheny County’s only Medal of Honor recipient from the Battle of Gettysburg: Private Casper Carlisle (shown on the book’s cover). • Images of paintings by Larry Smail, The Wheatfield: Whirlpool of Death, and by James Horton, of Casper Carlisle’s heroics near the Peach Orchard. To begin all of this is the enlightening forward by Tom McMillan, Vice President of Communications for the Pittsburgh Penguins, and his interest and devotion to the battlefield, driven by the knowledge that several of his ancestors fought in the Gettysburg Wheatfield. Revealed later in the book is the surprise connection Fox discovered he had with McMillan’s ancestors. Pittsburgh During the American Civil War, 1860-1865 and Our Honored Dead: Allegheny County During the American Civil War. Fox formerly taught U.S. and Pittsburgh history at the University of Pittsburgh, Duquesne University and LaRoche College. For the last 14 years, he has been a permanent part-time assistant professor of world, U.S. and Canadian geography at Community College of Allegheny County, Allegheny Campus. He served in the U.S. Navy Seventh Fleet during the Vietnam War. Contributor John Haltigan, an Allison Park resident, graduated from Northeastern University in Boston with a B.A. in history. After serving in the U.S. Air Force, Haltigan worked for more than 30 years as a personnel specialist with the Department of Veterans Affairs. Since his retirement, he has been an active volunteer at the Aspinwall Divison of the Pittsburgh VA Medical Center, where he has interviewed a number of World War II veterans for the Veterans History Project. Art and John began their collaboration after meeting several years ago at the VA Medical Center in Aspinwall, Pennsylvania. 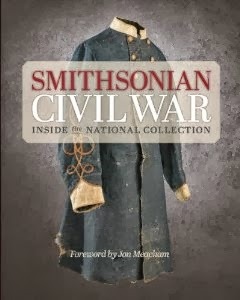 Smithsonian Civil War: Inside the National Collection, Neil Kagan and Stephen G. Hyslop, editors, Hugh Talman, photographer, Smithsonian Books, 368 pp., profusely illustrated, object list, index, $40.00. In 150 slim chapters, beginning with the Smithsonian before the Civil War to the creation of the Lincoln penny, some very remarkable objects and their stories are revealed in Smithsonian Civil War: Inside the National Collection. The Institution was a creature of antebellum politics. Slave holding Congressmen resisted the passage of the 1846 Congressional bill to establish the Smithsonian Institution. Yet the future president of the Confederacy, Jefferson Davis, was the regent of the Smithsonian from 1847 to 1851; his circa 1855 photographic portrait graces an early page of the book. During the war years the Smithsonian Secretary was Joseph Henry who was a vocal advocate of slavery; he and his family lived the the building that included a museum, a library and other facilities. Henry refused to fly the U.S. flag over the building. He believed that the flag was an invitation for Confederates to fire on the building and its neighborhood. Generally, the chapters consist of one page of narrative and one to three pages of photographs of objects. For example Chapter 10, John Brown, has one page of narrative divided into two columns; between the columns is a photo of one 950 pikes "that Brown acquired to arm slaves incited to rebel by his rat on Harper's Ferry." The second page is a photographic image of Brown [not bearded] taken in the mid-1850s by Augustus Washington, and African American. The third and fourth pages includes a small photographic image of Brown [bearded] taken in 1858, photos of weapons used by Brown in Kansas [44. caliber Sharps rifle, 52 caliber Sharps carbine, .31 caliber six -shot revolver] and August 10 1857 personal letter from John Brown to George Stearns regarding funds that bought the arms used in Kansas. The150 chapter capture hundreds of unique items in the Smithsonian's collection. Chapters such as The Fire-Eaters' War, the Wartime Patent Office, the Telegraph at War, and Appomattox Paroles offer unique documents, devices and and military accouterments. Indeed, there is something for everyone in Smithsonian Civil War: Inside the National Collection. Currency and postage stamp printing plates, children toys, a soldier's photographic image in a hardtack frame, a variety of telegraph keys, two intact Minie balls that collided in flight, printing presses that accompanied armies, and a small wooden drum that held slips of paper which identified Union men eligible for the military draft are just a few of the hundreds of objects that tell a stories in Smithsonian Civil War: Inside the National Collection. Some are amazingly unique. Federal soldier Solomon Conn of Company B, 87th Indiana purchase on May 1, 1863 in Nashville a violin to share with others because he never in his life learned to play the instrument but, its back he inscribed all the battles in he carried the fiddle. The entire back is full. in 1988 his heirs gave the instrument to the Smithsonian Institution. Readers of all ages will find delights, new information and unique images between the covers of Smithsonian Civil War: Inside the National Collection. 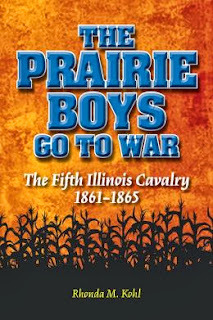 The Prairie Boys Go To War: The Fifth Illinois Cavalry, Rhonda M. Kohl, Southern Illinois University Press, 301 pages, 22 illustrations and maps, bibliographic notes, bibliography, index, 2013, $35.95. Throughout 1862 they fought and chase guerrillas throughout southern Missouri and northern Arkansas. In the late fall the 5th Illinois left Helena, Arkansas to participate in Grant's late 1862 and first half of 1863 campaign to capture Vicksburg, Mississippi. Keeping Confederate guerrillas out of Grant's path and guarding the paths of supply to the Federal army were the regiment's primary tasks. During the latter half of 1863 and until the summer of 1862, the regiment raided central Mississippi and performed garrison duties. Constantly the 5th Illinois Cavalry suffered from poor leadership, low morale, camp discipline and health issues including alcoholism, typhoid, malaria, and typhus. Rhonda M. Kohl's work is unique in that it combines military and cultural history with a narrative that is both precise and enjoyable. She has balanced military adventures with explosive cultural issues. There are varieties of racism, religion, and politics contained in the soldiers' lives. Kohl sets aside stereotypes and offers a complex but accessible narrative of civilian soldiers in a civil war. Her training in anthropology is a strength. Her deeply researched The Prairie Boys Go To War: The Fifth Illinois Cavalry relies upon diaries, letters and memoirs to reveal the rubbed-raw emotions of the cavalrymen. The Mary Lincoln Enigma: Historians on America's Most Controversial First Lady, Frank J. Williams and Michael Burkhimer, editors, Southern Illinois University Press, 33 illustrations, 376 pp., bibliographic notes, index, 2012, $32.95. Fourteen historians tackle the popular misunderstandings associated with Mary Todd Lincoln. In both popular culture and academic circles, the First Lady, verifiers and sympathizers. The Mary Lincoln Enigma: Historians on America's Most Controversial First Lady offers a variety of interpretations of Abraham Lincoln's wife, who had a role in both politics and society. Mary Lincoln as a sibling, as a child in a household with slaves, a a socialite and hostess, as a mother with sons and as as a European traveler are considered. Her depiction by novelists and graphic artistic are offered. Each of the authors have written books on the Lincolns.Each of the essays are between 20 and 40 pages. The authors' narratives are direct and to the point, neither meandering nor discursive. In is not necessary for readers to have an Abraham or Mary Lincoln biography under their belt. 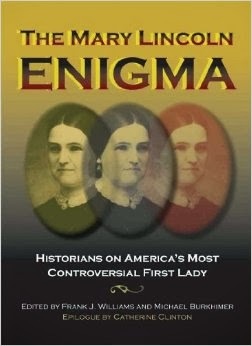 No insider information is needed to enjoy The Mary Lincoln Enigma: Historians on America's Most Controversial First Lady. Several of the essays have appeared in other publications and some may have been portions of other chapters in other books. Overall, The Mary Lincoln Enigma functions as a kaleidoscope for Mary Lincoln's life. One Man's Epic Quest To Visit Every Former Slave Dwelling in the United States: Joseph McGill, A Descendant of Slaves, Has Devoted His Life To Ensuring The Preservation Of These Historic Sites, Tony Horwitz, Smithsonian Magazine, October, 2013. A century ago, the whitewashed cabins of former slaves remained as ubiquitous a feature of the Southern landscape as Baptist churches or Confederate monuments. Many of these dwellings were still inhabited by the families of the four million African-Americans who had gained freedom in the Civil War. But as blacks migrated en masse from the South in the 20th century, former slave quarters—most of which were cheaply built from wood—quickly decayed or were torn down. Others were repurposed as toolsheds, garages or guest cottages. Of those that remain, many are now endangered by neglect, and by suburban and resort development in areas like the Georgia and Carolina Low Country, a lush region that once had the densest concentration of plantations and enslaved people in the South. McGill has witnessed this transformation firsthand as a native South Carolinian who works for the National Trust for Historic Preservation in Charleston. But it wasn’t his day job that led him to sleep in endangered slave cabins. Rather, it was his weekends as a Civil War re-enactor, wearing the uniform of the 54th Massachusetts, the black unit featured in the movie Glory. Donning a period uniform and camping out, often at antebellum sites, “made the history come alive for me,” he says. Re-enacting the 54th has also drawn public attention to the pivotal role of black soldiers in the Civil War. So in 2010, when Magnolia Plantation near Charleston sought to publicize restoration of its neglected slave cabins, McGill proposed sleeping in one of them. “I was a little spooked,” he says of his overnight stay. “I kept getting up hearing noises. It was just the wind blowing limbs against the cabin.” His simple bedroll, laid on the hard floor, also didn’t make for a comfortable night. But the sleepover succeeded in drawing media attention to the slave cabins, which have since been opened to the public. So McGill began compiling a list of other such structures and seeking out their owners, to ask if he could sleep in them. 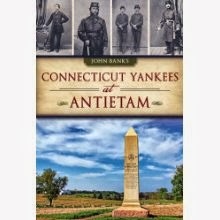 Connecticut Yankees At Antietam, John Banks, History Press, 192pp., bibliographic notes, bibliography, index, profusely illustrated, $19.99. Banks' Connecticut Yankees At Antietam offers compelling stories of over 30 Connecticut citizens who performed bravely, or merely adequately, or deserted at the Battle of Antietam. Delving into pension records, collections, manuscripts, reports, regimental histories, newspapers, Banks sets forth brief biographies of unique individuals who typify Union soldiers, nurses and undertakers. The soldiers are members of the 8th, 11th, 14th and 16th Connecticut infantry and their stories are told by their letters, diaries, pension files, photographs and artifacts they left behind. The author includes the story of Maria Hall, a nurse at the Smoketown Hospital, who was one of the many women rejected by Dorthea Dix but found her way to serve the wounded on the battlefield. Also, Banks offers the story of William Roberts, a Connecticut undertaker, who travelled in October to the September battlefield in order to locate and disinter eight bodies and return them to their families. At times Connecticut Yankees At Antietam may be grim. Banks has collected instances of amputations made by manual chain saws, survivors of wounds that did not receive aid for nearly 48 hours. The instances of wounding, deaths and imprisonment of fathers and sons are many. Banks is careful not to carry the stories beyond the evidence provided by the primary documents available; there is no speculation of probable endings in the book. Terry Reimer of the National Museum of Civil War Medicine, Bob Zeller of the Center for Civil War Photography, Ted Alexander and Stephanie Gray of the Antietam National Military Park and many local Connecticut historians and reenactors gave Banks a hand in bringing forward the fascinating and very humane segment of Civil War history. 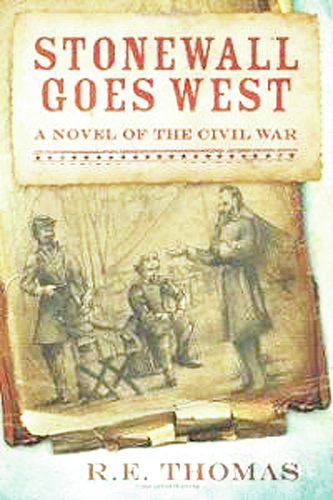 Stonewall Goes West: A Novel Of The Civil War, R. E. Thomas, Black and Gold Media, 238 pages, 2013, $12.99. R. E. Thomas' Stonewall Goes West offers an intriguing notion. Jackson is a corps commander at Gettysburg. The July 3 Grand Assault fails and the Federal Second Corps counter-attacks. With those conditions set, the novel opens in October 1863 and the Bristoe Station campaign becomes a Confederate victory. The Federals receive 7,000 casualties, Warren is killed, Webb is wounded and captured, Hays is killed and Sykes commits suicide. Braxton Bragg's army is sent reelling away from Chattanooga. Who can save the deteriorating situation? Stonewall Jackson goes west. It not easy for Tom Jackson in the West. Sherman is not Meade; the Army of the Tennessee is not the Army of the Potomac. Jackson has to accommodate himself to Hardee, Cheatham and Polk. But Jackson has the Army of Tennessee and Cleburn's division to rely upon. Within sixty days Jackson has the Army of Tennessee at Nashville and Sherman never enters Georgia. Thomas' work is not quite counter factual history; it does not examine realistic alternatives and possible outcomes. Stonewall Goes West is not quite in the same vein at Gingrich's Gettysburg and Grant Comes East; it does not stay within historic parameters. The novel is not quite like Harry Turtledove's works that puts the characters in an historic environment in which their actions seems inevitable. R. E. Thomas' Stonewall Goes West may be enjoyed as a fanciful collision of personalities and conditions. He does have some characters who are in the rank and file and not on horses. Unfortunately there is very little suspense in the story. Stonewall and his lieutenants always win. 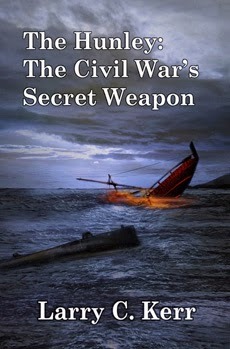 The Hunley: The Civil War's Secret Weapon, Larry C. Kerr, Melange Books, 2012, 305 pp., $15.95. The CSS submarine H.L. Hunley plays a small part in in the Civil War but has a larger role in history. Revealing the dangers and advantages of undersea warfare, the CSS Hunley was the first to sink an enemy warship, the USS Housatonic. The current historic record is not explicit as to whether the submarine was entirely submerged during the assault. It cost 21 sailors their lives during the experimentation and assault; the ship sank three times. Constructed at Mobile, Alabama, shipped by railroad to Charleston, South Carolina, the Hunley was lost on February 17, 1864. After decades of search, the Hunley's remains were located in 1995 and recovered in 2000. It now rests in a marine labratory in Charleston. 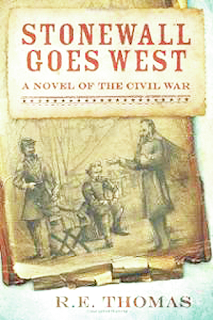 Kerr employes quick, conversational style dialog to move the story forward from April 1861 to February 1864. The author does not provide fanicful developments to heighten the narrative or suspense. Readers who are familar with the Hunley's story will be well satified. Those who are encountering the story for the first time will be compelled to track down the original TNT Network's 1999 creative film, The Hunley. Readers seeking toto learn more about the submarine, the heroic individuals who died with it are well served by current stewards of the ship and its museum. The Friends of the Hunley offer a very fine website. The website is a fine companion to Kerr's enjoyable, fact-based novel.